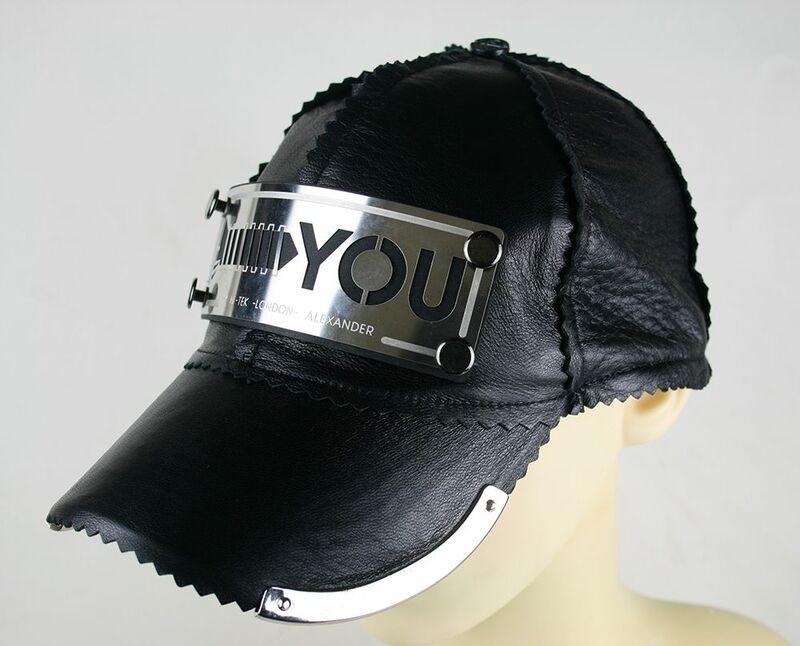 Unusual headwear, unisex black leather baseball cap with metal components. Suitable for artists, performers, DJ’s, video, styling. Free shipping is offered on this item.